Studying for this type of exam is hard work. 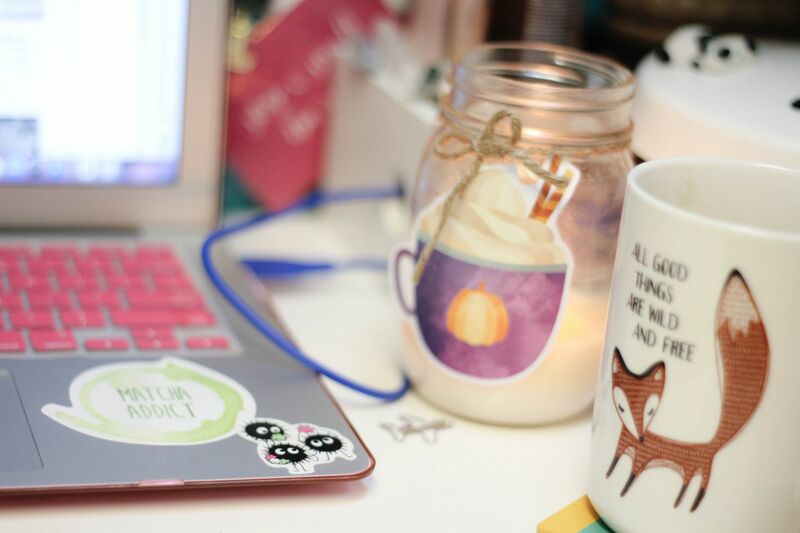 I work towards the day I would be finished my classes and have to be fully ready for it. 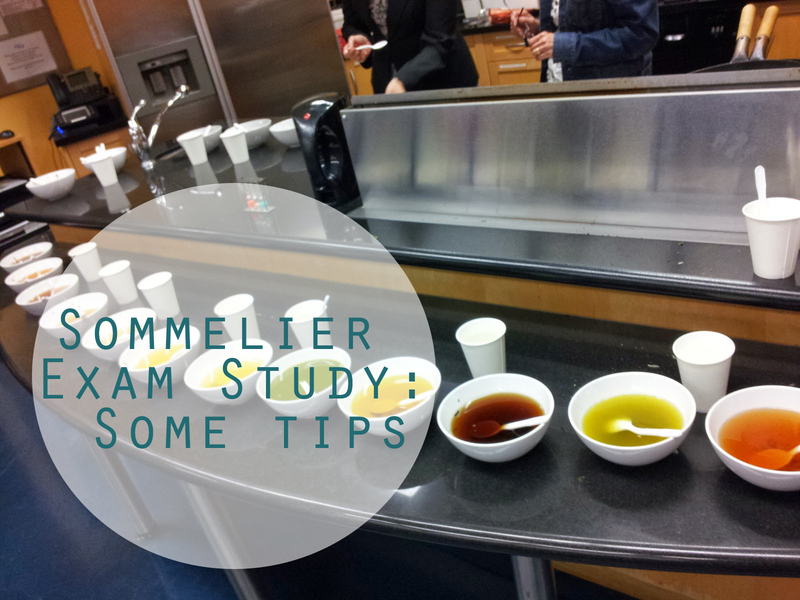 Back in 2012 I participated in the “So You Want To Be A Tea Sommelier” event at the Coffee and Tea Show. 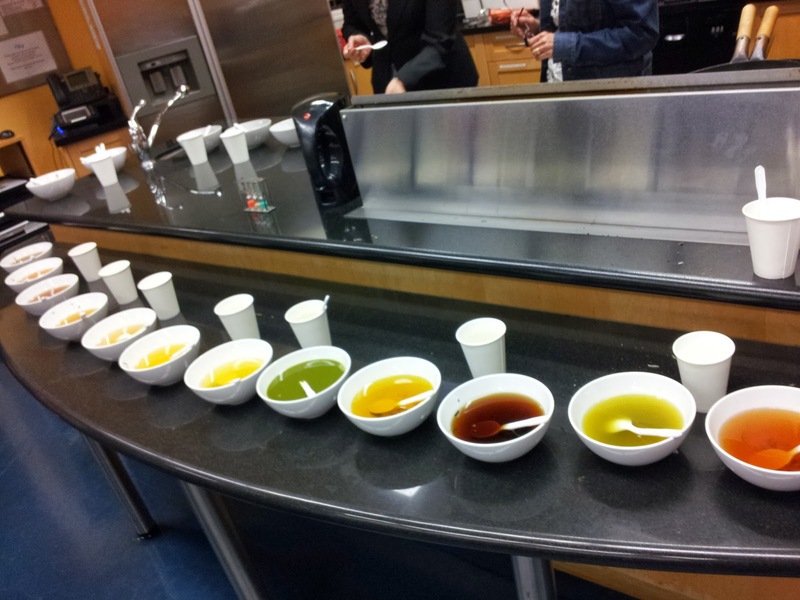 Here I had my first chance to try to identify 10 teas with only the liquid present. It is not as easy as some may think. When brewing teas in class we always had the leaves to look at, both dry and then wet. This helped narrow down which tea it was and the taste sealed the deal. The part that you have to get around is that all of the teas are steeped with boiling water for 5 minute steep. It was a lot to take in for a first try but I am glad I did it. 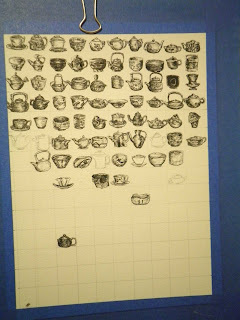 The last day of my class we did this exercise with 15 teas and then last week again with 20. Repeating this with many more teas than there will be helps you recognize where you need to focus. Friday last week I had organized a tasting with those who had also finished the program. The turn out was small but we got great pointers from Tao. We did three sets of teas. The first was white and green. Second was Oolong and Pu-er. And last was blacks. In this manner we were able to focus on the slight differences between them. 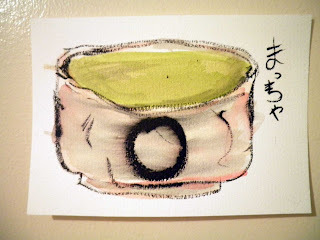 For example: Japanese green teas have a bit of a bite to them with a distinct vegetalness while Chinese green teas still maintain their sweetness. 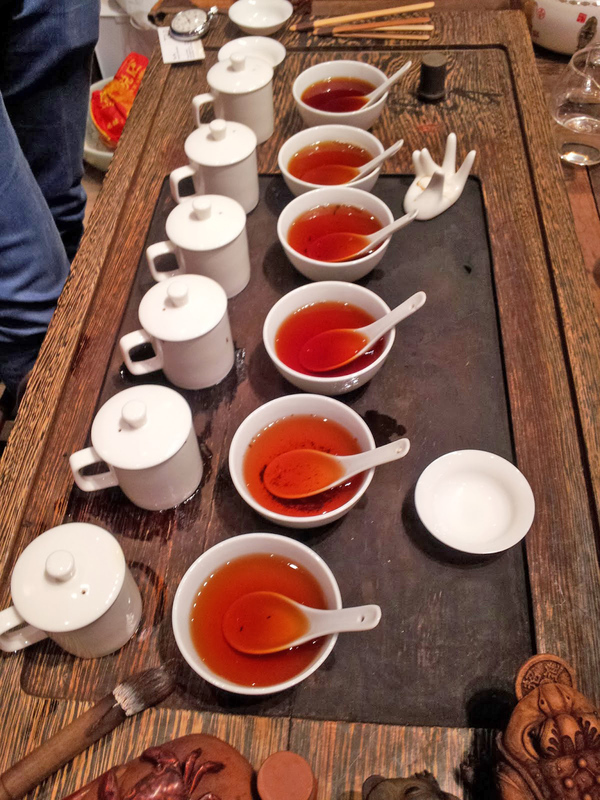 Another note to taste for is smokiness as some styles of Chinese teas are pan fried by hand. 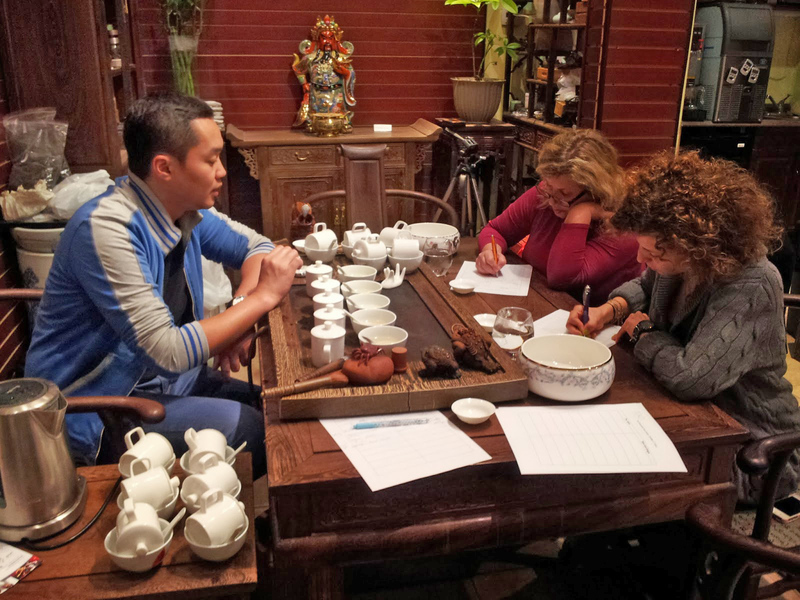 For Our oolongs and Pu-er, we looked for the difference between a green and dark Ooong. 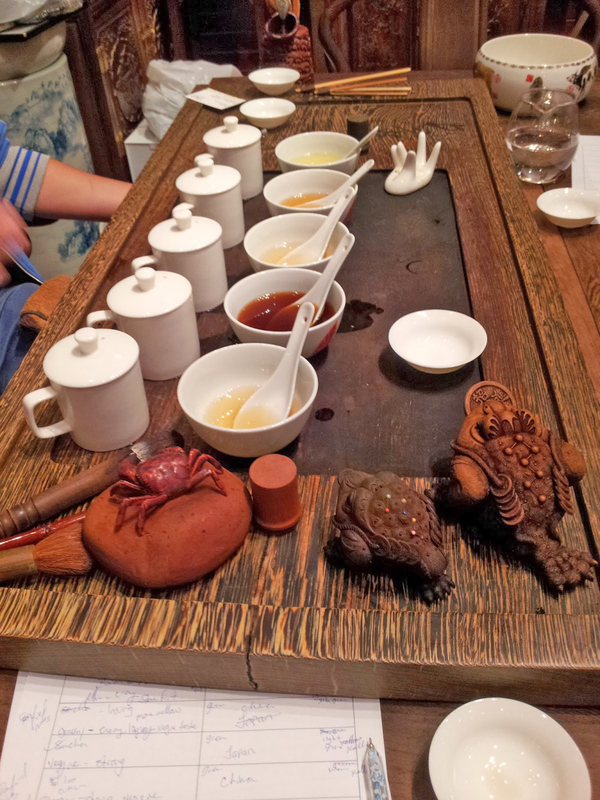 Then tried to find the pu-er by colour alone, and checked it by taste and smell on the back of our spoon. Black teas were interesting, I personally mixed up Golden Yunnan and Golden Assam. When I asked Tao how to tell the difference he mentioned about the astringency of an Assam and roundness of the Yunnan. Using this last study method helped me feel more at ease for the up coming exam. I hope these points help anyone else who is going as I like to share information I learn. So if this helps you please share it with other students. This way we all benefit from these experiences. The Tea Association of Canada exam guide can be found here for download. So good luck! I hope this helped out out a little. I would love to know how it goes for everyone. Please e-mail me or comment below! Stress finnaly settled in last week, even more so when I realized I had not done my tasteing for the week. After a weekend of relaxation I will get back into my tastings, but I think I will allow myself some wiggle room to post every two weeks if need be. I have found after my first tasteing I have lost the love to write about these teas this is why I need the ability to review when I feel it is right. And by following Aaron Fishers advice of focusing on one action at a time, I can enjoy my tea and then write about it there after. As for this little line I thought It was good to start my work day with Japanese quote to raise the spirit. If you have been over to my art blog you may have noticed I posted about a performance piece surrounding Chanoyu. This will happen in the spring, much planning and learning needs to happen before late March early April area (when I hope the Cherry Blossoms are open). Keep an eye on both blogs as I may post about this event on either depending on the nature of the update. 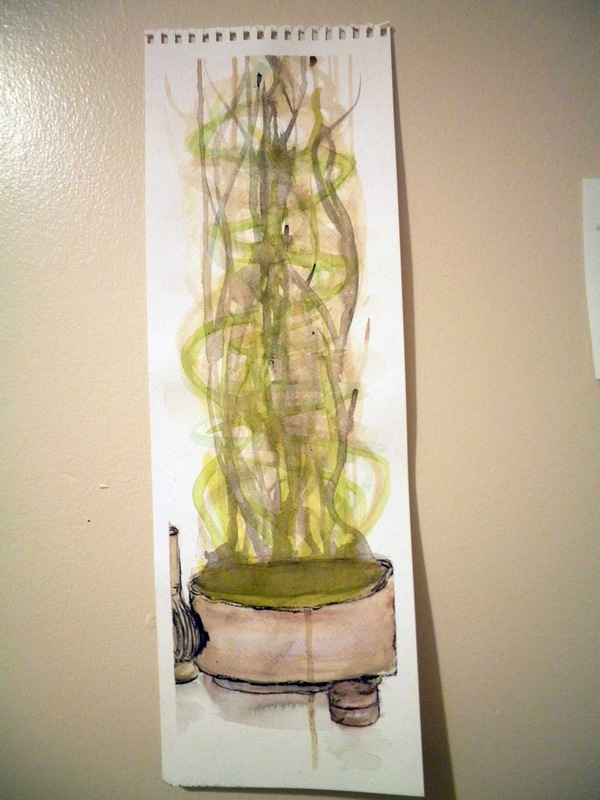 For those of you that have not visited my art blog the link is down below. Over the next little while I have 2 submission deadlines comming up. The first is for an OCAD University Alimni show next spring and the second is a full proposal for Xspace (OCAD U associated gallery). Slightly overwelming how much needs to be done but do-able. If any of you follow my Facebook fan page you are aware of the new work sitting around. 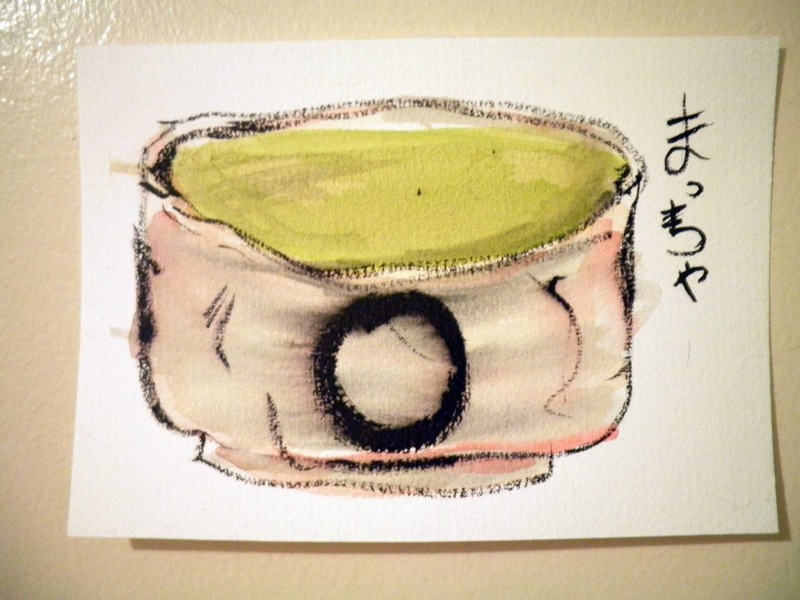 Tea infused with a but of a watercolourist feel to them, some small meditations on tea and dao. I hope this medative series continues for quite some time. In addition my knitted series is in the planning stages of a continuation. Alot is going on. Updates may only occur once every two weeks unless there is enough to update earlier. I am organizeing my time for my art and Japanese study. Hopefully what I have learned ends up in my work. You can not really continue into something without first understanding it’s origin and how techniques. It will be a bit to go through all of these Chinese Painting books but in the end it should be worth it. I am also looking into getting a new portable easel that would make it easier for me to tilt the work space back more to utilize watercolours. I am going to do some warm up exercises after work along side the cleaning that needs to happen in my room/studio. 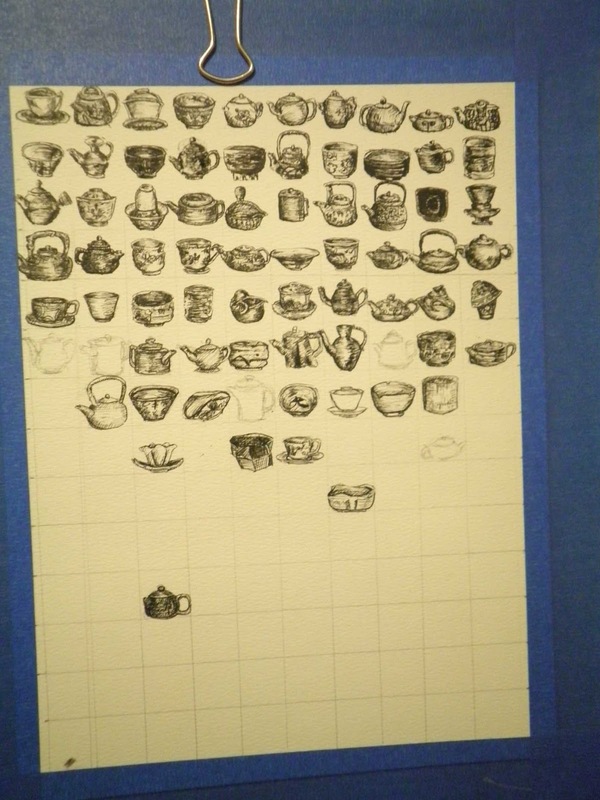 I have decided to start logging my finds of tea shops and journey as I study tea this morning. 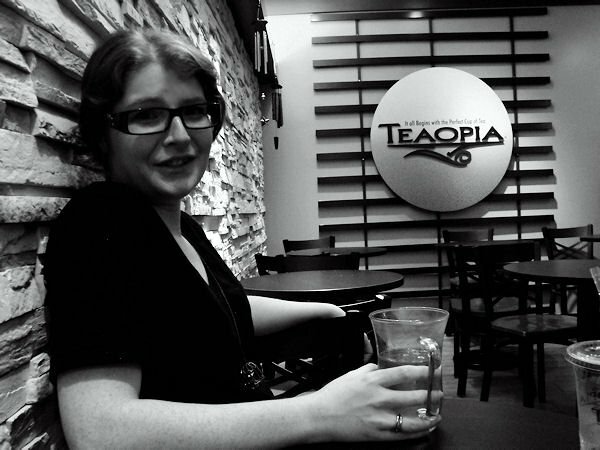 I start work at Teaopia and hope that I can help others through their journey through the culture and history surrounding tea. This is day one of my journey , as it will be preparation for my first day of being totally consumed by tea on a daily basis. I am awaiting a call from the library about “The Story of Tea” and “The Tea Classic”. The first is one which I know my coworkers may have read and the second is more so for myself as it is by my favorite “Immortal” Lu Yu- “The Immortal of Tea”. I hope to read other books as well especially Aaron Fisher’s newest book which I am going to order once I am settled into my new habitat. Just a bit about myself. 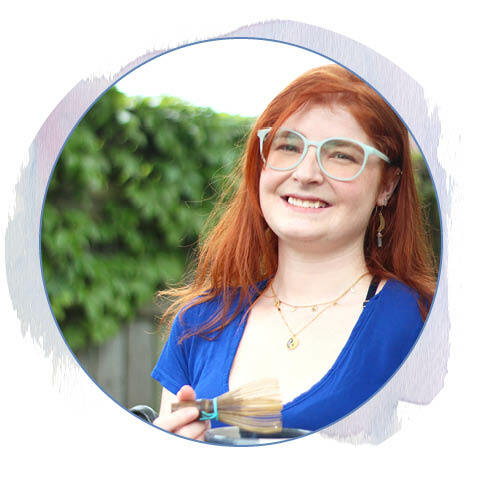 I am a recent graduate from OCAD University in Toronto, with a BFA in Fine Arts. 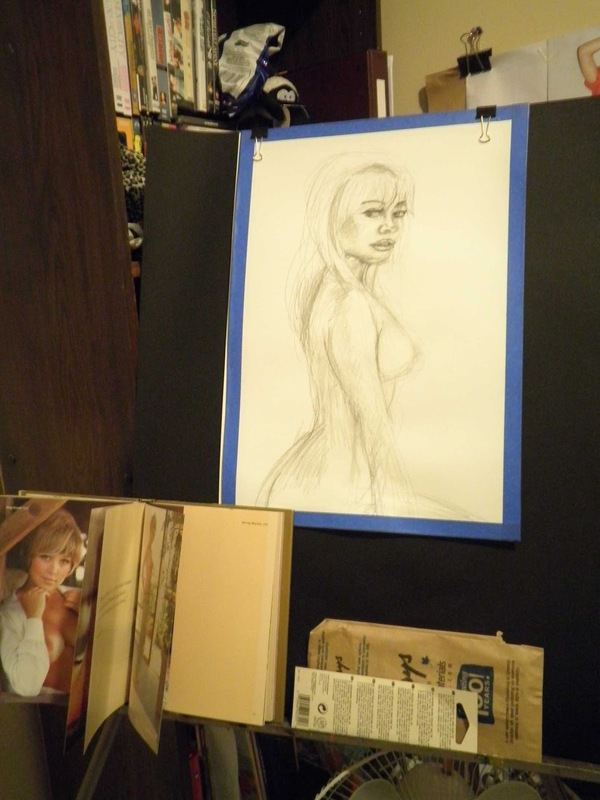 Majoring in Drawing and Painting with a minor in Art History. 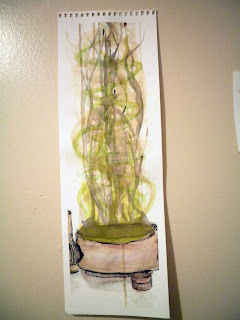 My work recently has been infused with zen which comes from my consumption of tea on a regular basis. I drink more tea than anyone I know offline and often get the “what is that?” asked of me when I am lugging my glass tea tumbler around full of freshly brewed tea from full leaf tea. Back home I tended to stick with bagged tea , that was till a full leaf tea shop opened in 2005 or 2006. I am good friends with the owner and have struggled to consume each tea she has to offer (currently at over 180 teas when I last visited, there goes my goal). Since my first pot of full leaf tea and my purchase of a bag of sencha, I have not been able to stop myself from trying new varieties and brands. My tea ware collection has grown over last summer. From a single tea pot I had no knowledge of to having a glass gaiwan, yixing pot, matcha bowl, whisk, tea tray , utensil set etc. It is worrying that I have also turned a small dresser into my “tea chest” which is full of mostly teas and all of my tea ware (what I can fit in there at least). I shall end this first post here as I wish to enjoy a new discovery of both tea and a shop which I will post more about latter.